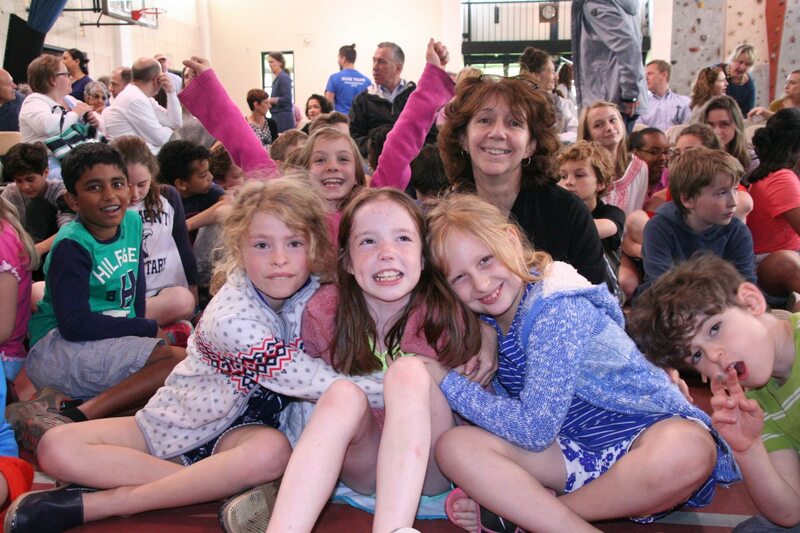 What an exciting new year at Berkshire Country Day School! The 2017/2018 year is off to a terrific start, and we’re especially thrilled to welcome 41 new students. Every grade, from our new Beginner 2s through 7th Grade welcomed at least one new student, many grades with multiple additions. It’s our 2nd week of the year, and already it’s impossible to distinguish the new kids from students who have been here for years. New students have seamlessly integrated into classrooms, onto sports teams, in lunchrooms—all across campus! What are some of the things our new students and their families are saying? We proudly boast that our students hail from all across Berkshire and Columbia Counties. Students come from Sheffield to Otis and from Pittsfield to Dalton (and practically every town in between). And, about 25% of our students live in 11 towns in Columbia County, including as far away as Hudson, NY. 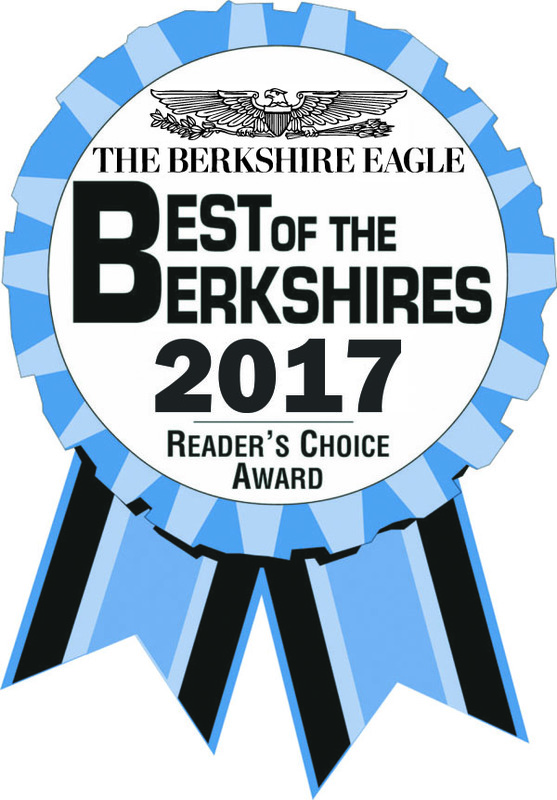 Over the summer, we were notified that BCD was voted “Best Private School in the Berkshires.” This is a great honor and testament to the high degree of satisfaction our students, parents, and alumni have for their BCD experience. The new Beginner 2s preschool class is a resounding success and is already nearly full. Like our Beginner 3s and PK class, the “B2s” is inspired by the Reggio Emilia model. The new Kevin Hirt Library and Learning Commons and the new Kim and James Taylor Music/Performance Room, which officially opened last April, are being used in full swing. These state-of-the-art facilities are incredible resources for our whole community, supporting our vision for our comprehensive programs and the future. 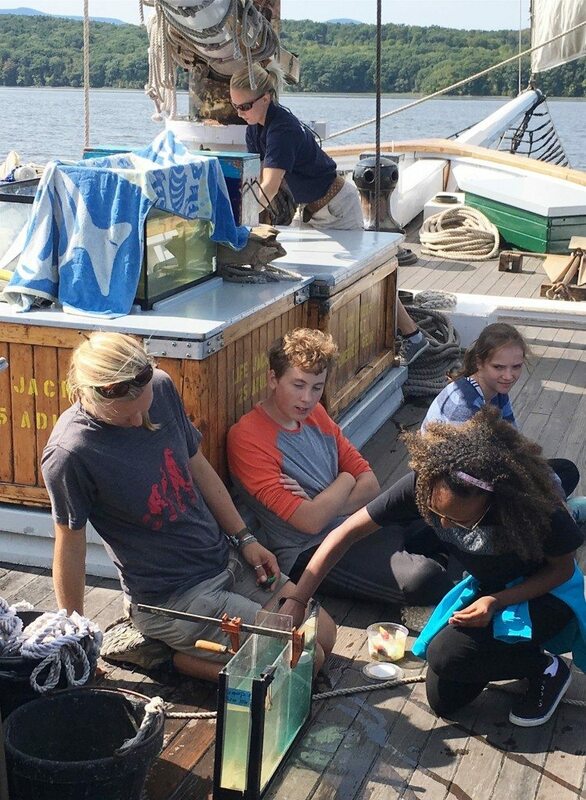 Field trips are underway, and the first—the 8th Grade trip on the sloop Clearwater—literally set sail this week from the dock in Hudson, NY. This is the 2nd annual trip funded by the James C. Kapteyn Endowment for Environmental Studies, established to honor BCD alumnus Jamie Kapteyn ’76. Next week, the 4th Grade will visit Art OMI in Ghent, NY. 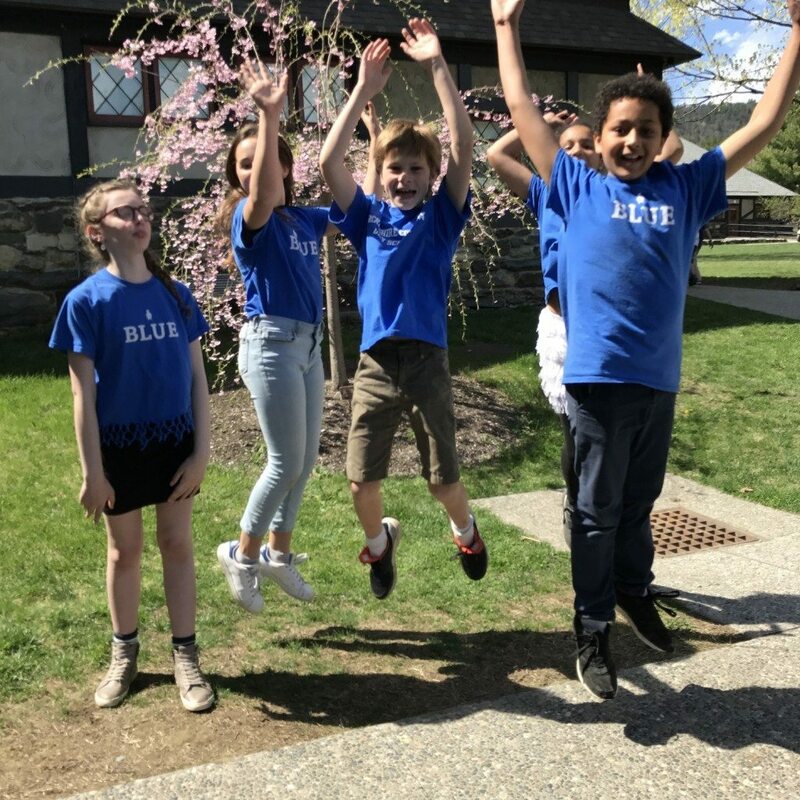 In October, the 5th Grade will spend 4 days at Nature’s Classroom in Rhode Island, and the 6th Grade will spend 4 days at the Hulbert Outdoor Center in Vermont. Both of these experiential programs are designed to strengthen class bonds, provide relevant learning opportunities, and build leadership skills. Last night, we welcomed Middle and Upper School families for a “Back to School Night.” Families were welcomed with an overview of our program and introductions of all the teachers these students learn from during the week, from homeroom advisors to English, History, Math, Science, Spanish, French, PE, Art, and Music. 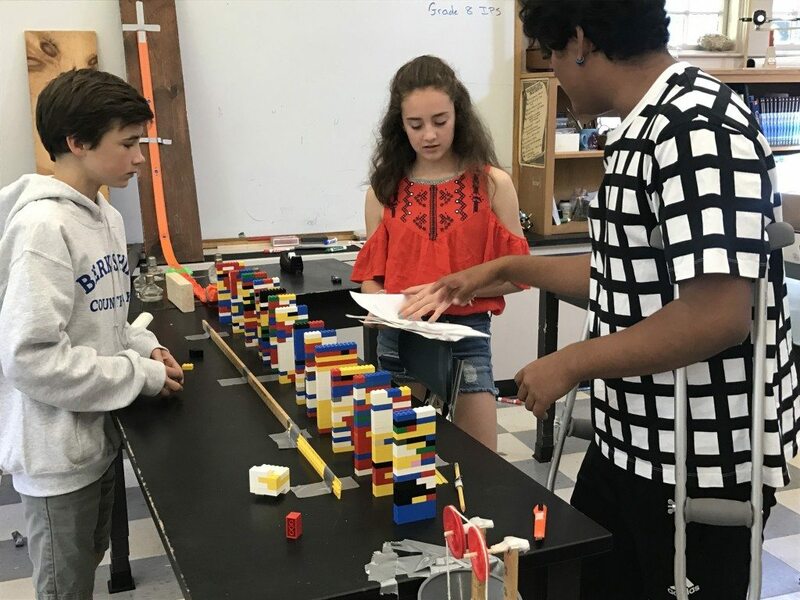 With over 80% turnout by parents, the mood was incredibly positive about what our students have already done since the start of school and what they will be doing over the course of the year. Kindergarten and the Lower School will have their “Back to School Night” later in September. With all this great news and upcoming activities, I invite you to share this post with your friends and family. It’s already an awesome year! By Alexandra Heddinger|2017-09-14T14:59:53-04:00September 14th, 2017|Categories: Admission Blog|Comments Off on Off to a Great Start! 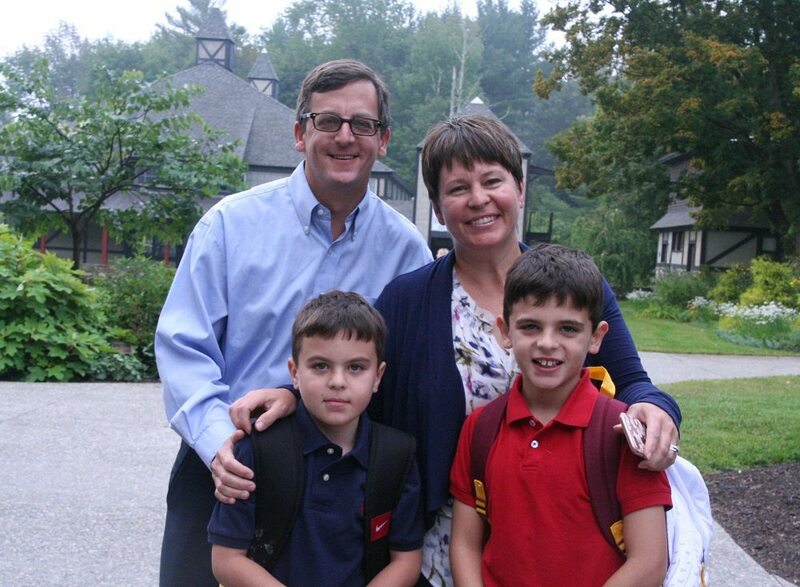 As I wrap up my first full year at Berkshire Country Day School, I’m as excited as ever to be part of this community. I was reflecting back on my first several weeks last summer, meeting families and getting to know the culture and spirit of the School. I was impressed with the vibrancy of it all and how engaged everyone seemed to be. There was an energy both about being part of this community and surrounding a passion for learning that continued throughout the year. 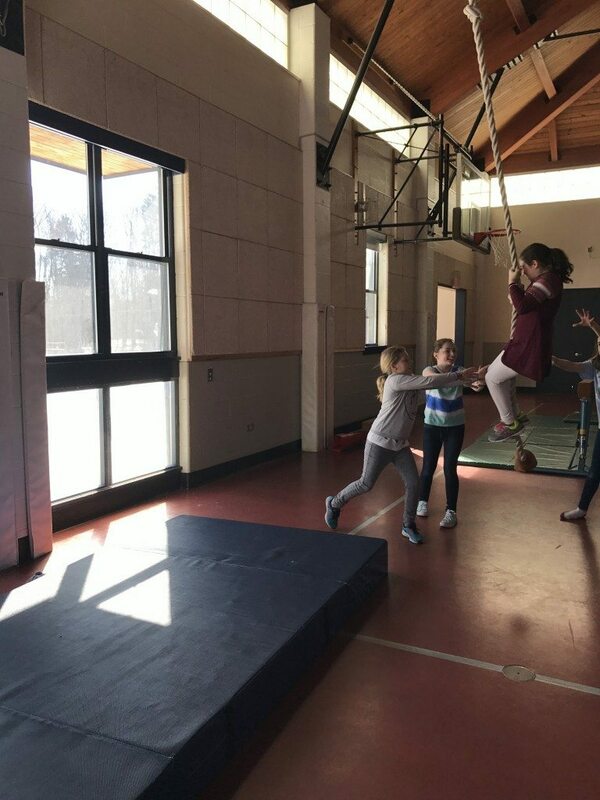 In fact, as the year progressed, that energy only grew with each new class project, each concert or poetry assembly, each play, and each day of building friendships and connections. 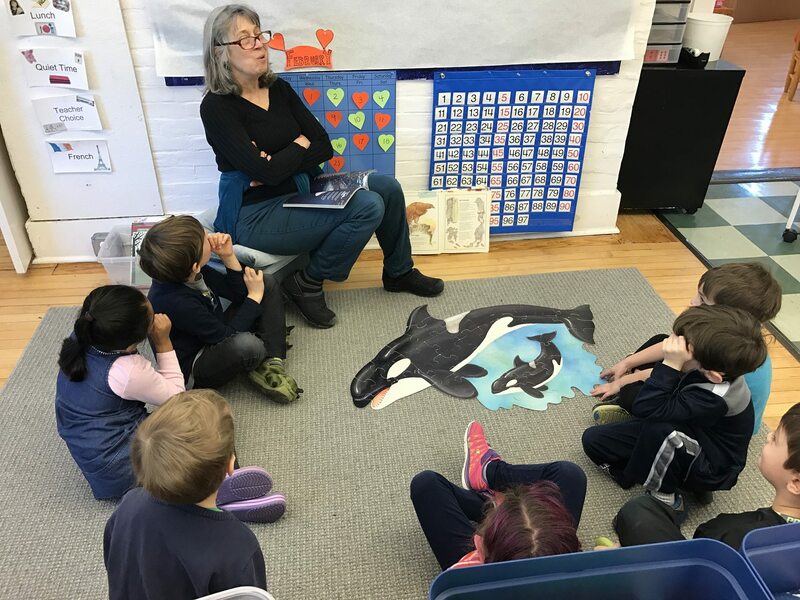 From an admission perspective, we had many successes, from overwhelming participation in our “Little Penguins” toddler playgroups, Open Houses, and “Bring a Friend to School Days,” to the development of new marketing materials and increased applications. And it was all because of the people whose support made it all possible. While our students are away for the summer, there’s plenty of activity continuing in the Admission Office! Daily, I’m fielding inquiries from interested families, giving tours, or processing applications here, while also dedicating time to community outreach to let more families know about the amazing educational opportunities at BCD. Each week, flyers are going home with kids at the IS183 Art Camp and Eden Hill Sports Camp, promoting our school and advertising weekly tours during pick-up and drop-off on Wednesdays at 3:00 pm and Thursdays at 9:00 am. (They tell me there are limited openings in several of their camp sessions if you still want to sign up.) I will also be at the Hudson Farmers Market on Saturday, July 22. You can help our efforts, by continuing to spread the word about BCD, especially about our new 2-year-old program (filling up quickly! Read about our new teacher here) and about the new bus route serving Hudson, NY, and Columbia County families. There is no better publicity than when you share your stories and personally invite families to take a look at our school! I have planned two Saturday get-togethers on campus where our playground will be open for drop-in “recess.” The dates are Saturday, July 15, and Saturday, August 12, both from 8:30-10:30 am. Mark your calendars to come! These are very casual events designed for our community to stay connected over the summer and have fun together. Returning families, newly enrolled families, families considering BCD, and the general public are all invited, so feel free to bring your friends! If there is interest, I will also give tours. I hope you can join us for a playdate with old friends while you make some new ones. Thank you to the broad BCD community—parents, students, faculty, staff, and alumni—for a terrific year! 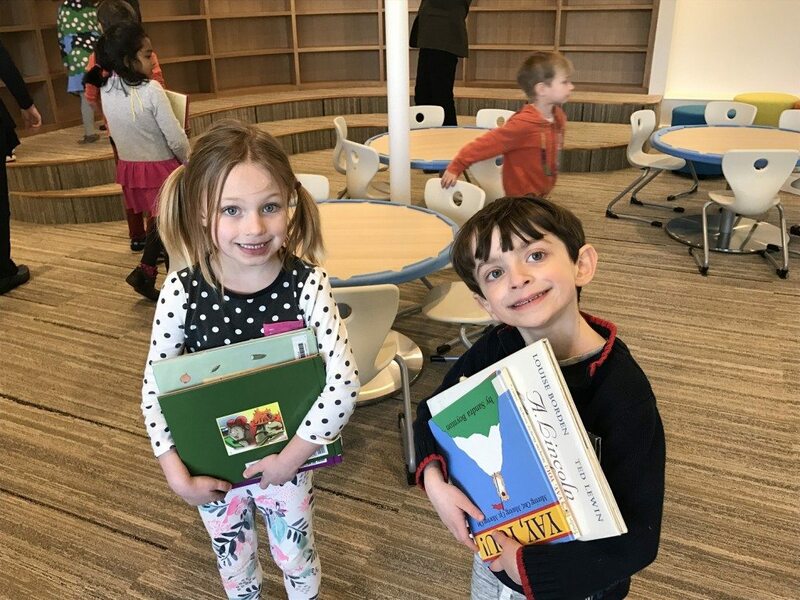 A few weeks ago, Berkshire Country Day School hosted a “Bring a Friend to School Day” as part of our Open House series for the year. It was a tremendous success! As I circled through our classrooms to check on guests and their hosts, I saw laughter, participation, engagement, and the welcoming spirit of community that is infused throughout our school. Many thanks to students, teachers, administrators, staff, and parents for supporting this event that showcased our school to prospective students and their families. Tha t was our first “Bring a Friend” day this year; there is another scheduled for April 21. (It’s during the Massachusetts public school spring vacation week AND just happens to be a Pizza Friday!) 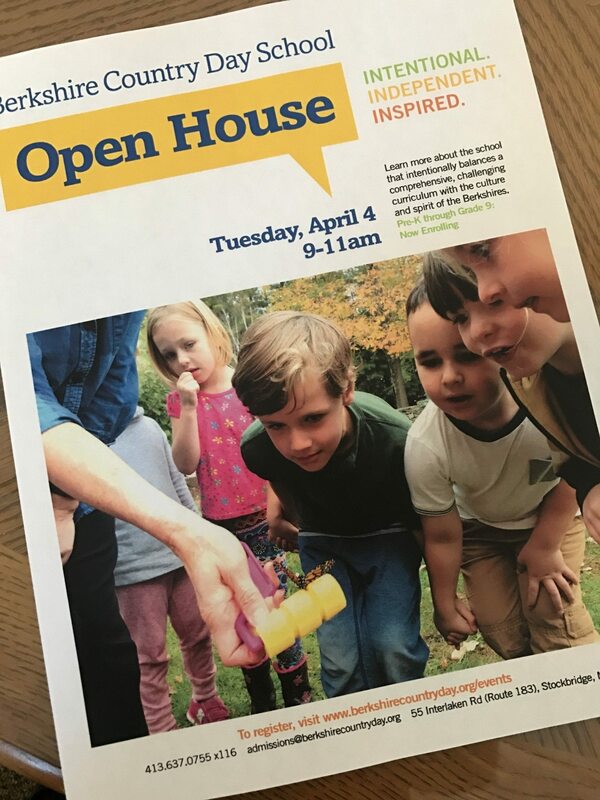 We also have two more traditional open houses scheduled for Tuesday, April 4, and Thursday, May 11; will be hosting a table at the Parents League “Kindergarten Fair” at Grace Church School in New York City on April 24; and are offering the Spring session of our “Little Penguins” toddler playgroup on April 11, 18, & 25. More information and online registration forms are located under the Admission heading on our website. 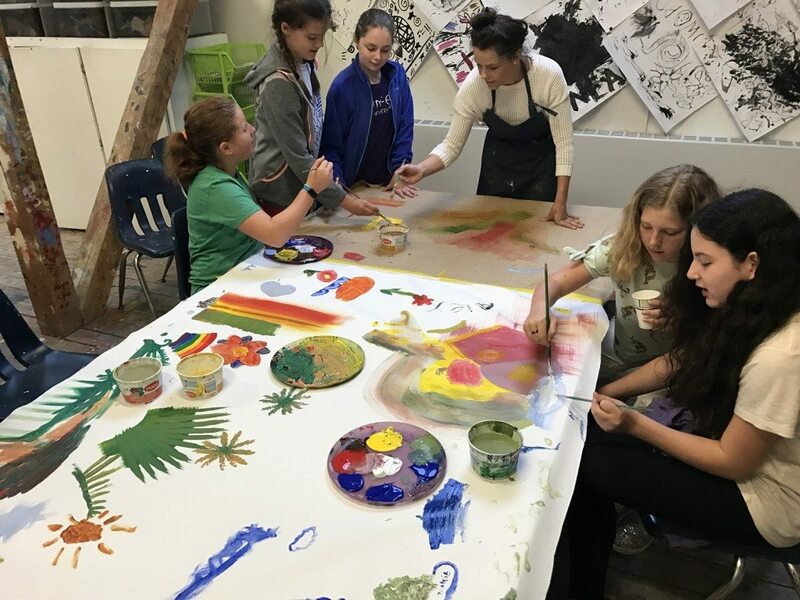 You can tell the next few months are a busy time for Berkshire Country Day School—and that’s awesome! We love having visitors during these events, as well as for individual tours to showcase the depth and breadth of our academics, arts, and athletics, along with the vibrancy of our student and adult community. Now that the Kevin Hirt Library and Learning Commons and the Kim and James Taylor Music/Performance Room are open, guests also get a sense of how our school continues to strengthen our program through new facilities and curricular enhancements. When we’re back from break, the schedule in April, May, and early June will be full of visits. Each week, parents will be coming in to learn more about how Berkshire Country Day School can benefit their child, and prospective students will be shadowing in our classrooms, making friends with our students; participating in class projects, discussions, and activities; playing on our playgrounds and on our trails; and getting a real sense of what it would be like to be a BCD kid. I hope you’ll share the magic of BCD by “Bringing a Friend to School,” inviting a family to an Open House, passing along my name and contact information, and sharing the many exciting things happening at BCD every day. I’m looking forward to making some new friends! Wishing everyone a wonderful break, and I’ll see you in two weeks! A few of our visitors having fun during Bring a Friend to School Day!